Just like my other apps that have gone v2, SG Blood is upgrading to v2 too! 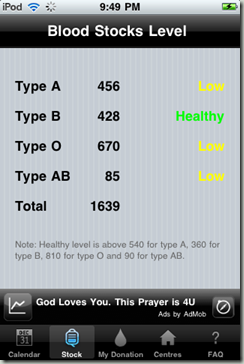 SG Blood is an app for blood donor, and was first released in Jan 2009. I didn’t update the app much over the year, partly because it works well and has no bugs, and partly because I have no improvement planned for it. 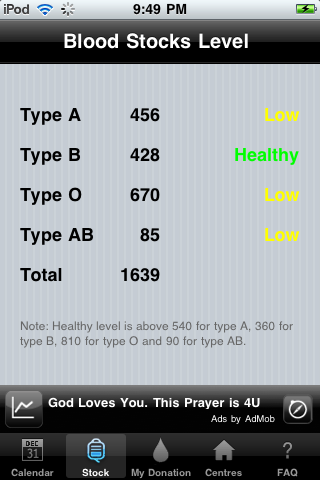 But today, I am proud to announce a new feature for the app: Checking blood stock level! The feature is kindly provided by donorweb.